On Wednesday, we welcomed nearly 100 volunteers from Valero. 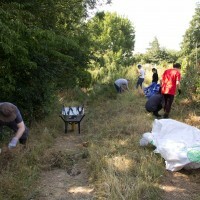 With so many hands to help, we were able to make great strides in a range of projects across Mudchute. Thank you to all of our wonderful volunteers from Valero as well as to our staff and volunteers for their hard work in preparation for and during the day! More photos and information about just a few of the many projects underway on the next page. 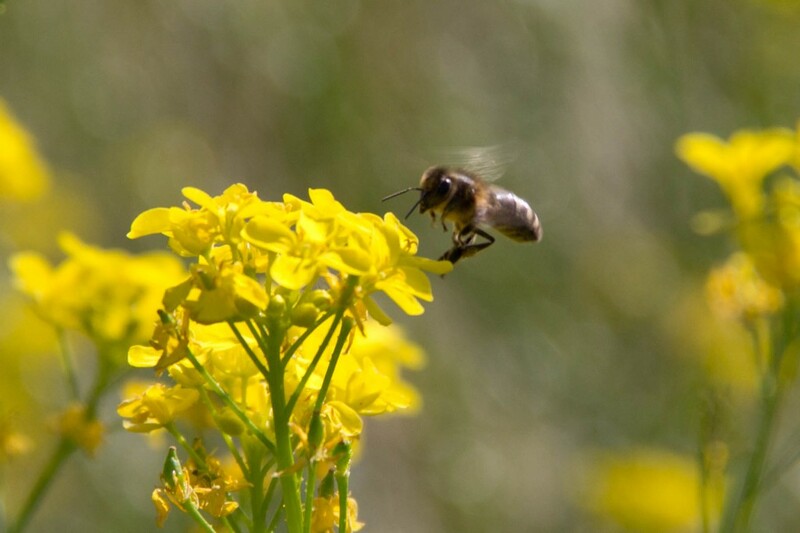 Mudchute is pleased to announce the arrival of our new apiary located in the fields of Mudchute. 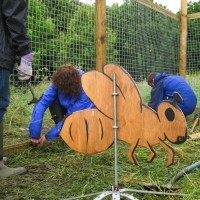 It was sponsored by Ashurst for the purpose of a London Beekeepers Association teaching apiary. 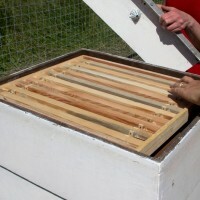 We currently have four old fashioned WBC hives settled in the apiary. 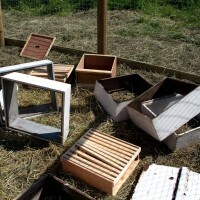 If anyone would like to learn more about beekeeping, please contact LBKA and come down to the apiary for a training course. To contact the LBKA, please call Barbara at 07429706308. Preparing for the new posts. 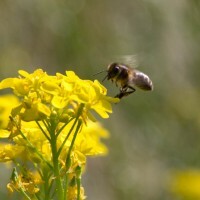 Components of the WBC hives. 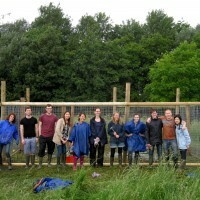 Interested in coming to volunteer at Mudchute with your team? 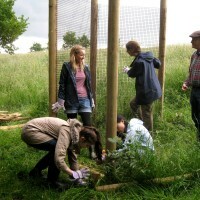 You can find out more about corporate volunteer days on the corporate section of our website. 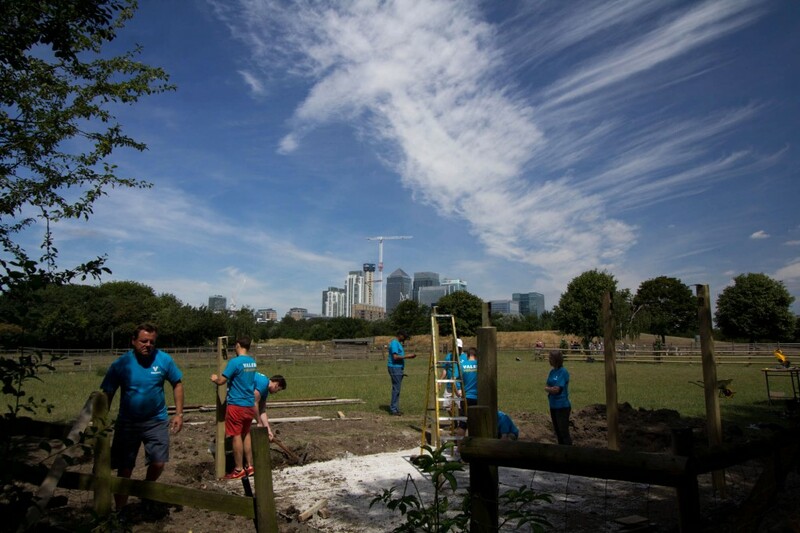 It has been a busy few weeks here at Mudchute, with lots of new projects forging ahead with the help of our corporate volunteer groups. Over the past two weeks we have hosted groups from AIG, Morgan Stanley, Blackrock, Barclays and Societe Generale (via East End Community). 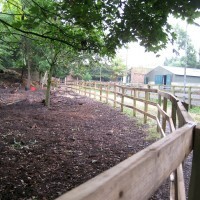 AIG, Morgan Stanley and Society Generale helped us with new fencing for the riding arena and to create a new pony paddock opposite our riding arena, as well as helping to clear some of our many paths of the brambles and nettles which grow so quickly at this time of year. 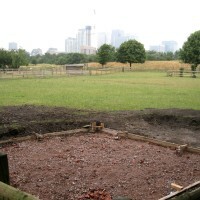 Our stables team are looking forward to being able to turn the ponies out in the new paddock. 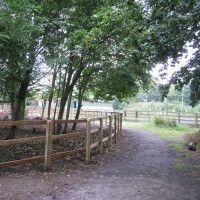 It’s proximity to the stables and riding arena mean they can also keep an eye on them to prevent any mischief! 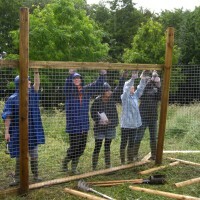 Work has also been continuing on our community orchard thanks to volunteers as well, with a group from Barclays helping to weed around the young trees and removing some of the protective mesh now that they are becoming more established. The trees are coming along well and should continue to take shape over the coming months. We have also begun work on a new custom cow shed. 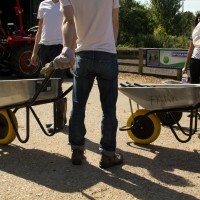 Groups from Morgan Stanley and Blackrock got stuck in preparing the foundation of the new shed, including lots of hard graft shifting aggregate! 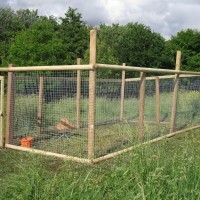 We will be continuing to work on this in the coming weeks, setting the foundation and constructing the shelter itself. Thank you to all of our staff and volunteers and the groups who helped us get these projects underway. As a small local charity, these projects are only possible thanks to your hard graft and continued support. Could you and your team help? 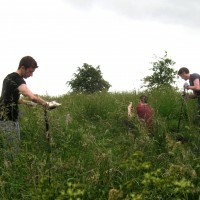 You can find out more about our corporate volunteering programme on our website. 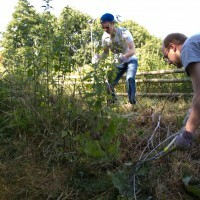 Removing overgrowth of nettles and brambles. Pony paddock from the bridle path. 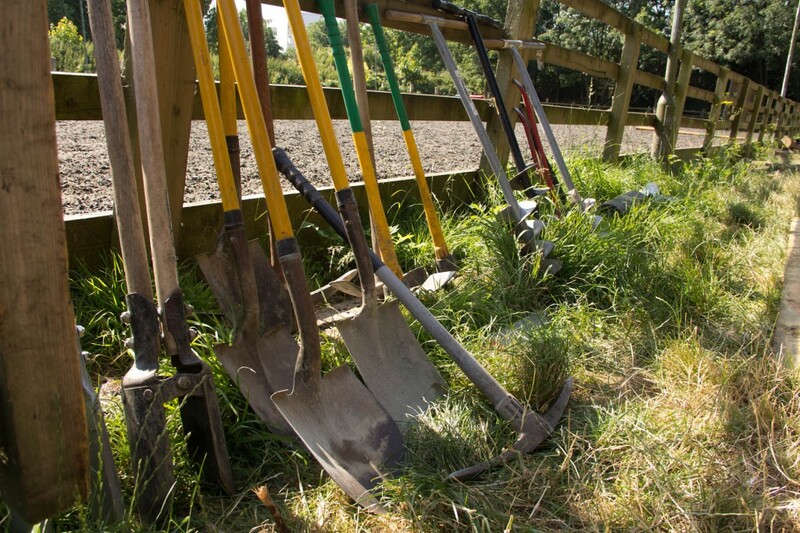 Gathering tools, a key to a successful day of volunteering. The beginnings of the new cow shelter. 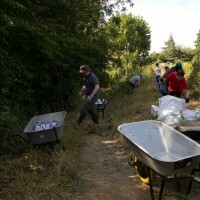 Volunteers helping to clear paths. 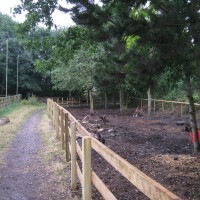 A new fence for the new pony paddock. 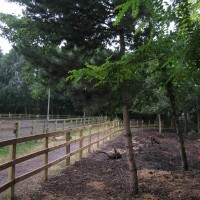 The new pony paddock opposite the riding arena. This will allow the our stables team to keep an eye on the ponies!